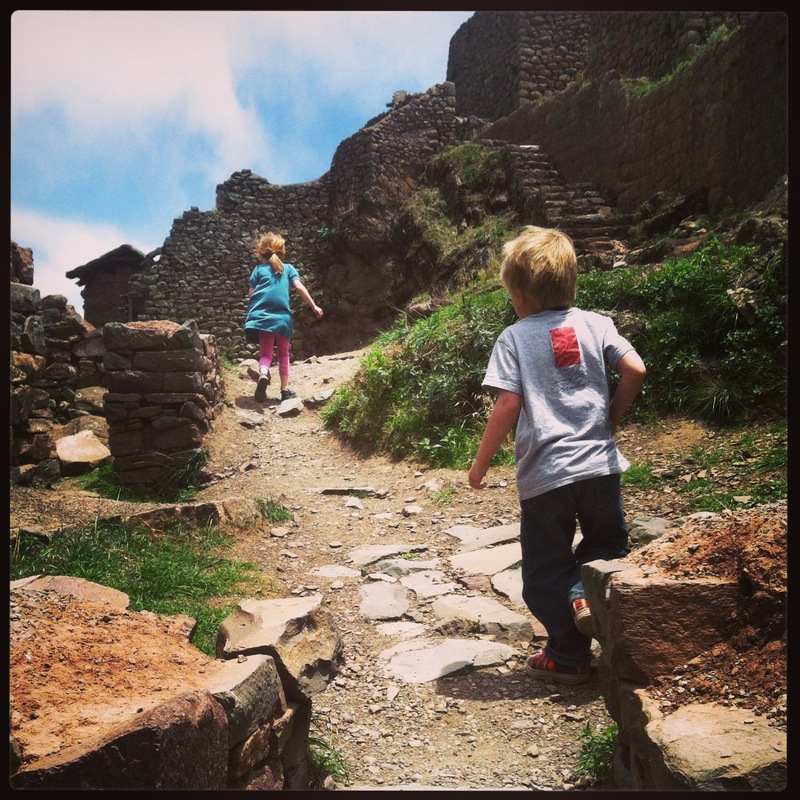 Way back when we were still pregnant with our first child, we heard about unschooling. And we figured, yeah, that sounds about right for us. But then with moving to the U.S. of A. and whatnot, long story short, Graciela ended up attending kindergarten at our local public school right across the street. It was a great experience and we were able to connect with other kids and parents in the neighborhood, which was really the whole point. 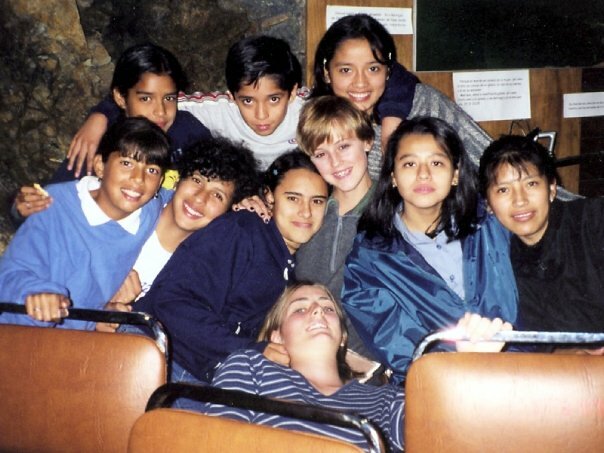 But now, we are in Peru and it is the perfect time for us to go back to what we wanted for our kids in the first place. 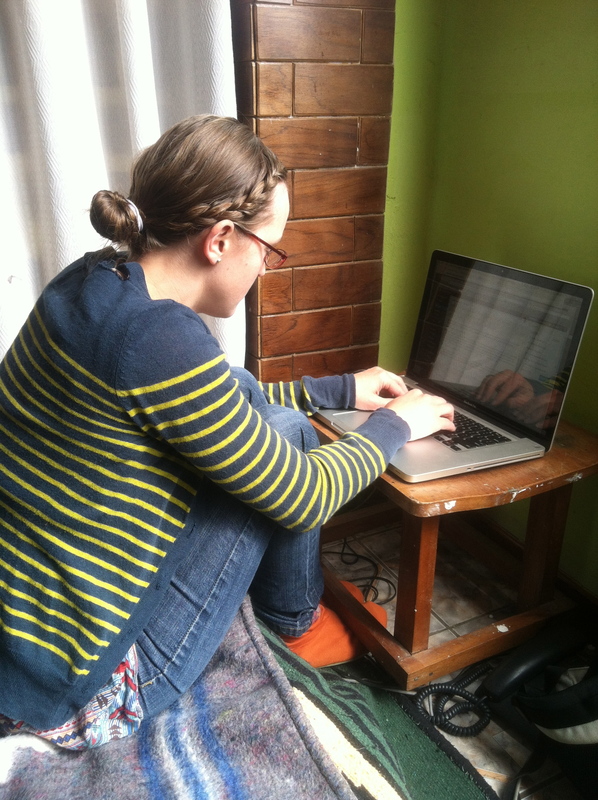 We debated schools in Cusco (we really wanted our kids to have the immersive Spanish experience), we debated (very briefly) homeschooling, but in the end, I checked out some John Holt from the library and ordered some fun materials on a variety of subjects, and we dove into unschooling. It’s a strange way of putting it, to say we “dove in.” Because really, it’s not something you “start” or “stop” doing. There’s not a beginning date or an exam week at the end. It’s just… life. It’s funny to “start” something like this during the traditional summer vacation. At first I felt like we needed to wait until September to start exploring all the fun things I had been thinking of doing with the kids. But, of course, that’s missing the whole point. We aren’t meant to assign interests to our kids. We are simply meant to support and encourage and cheer and explore with them whenever they get excited about something. And I certainly hope my kids don’t limit their excitement for life to only Sept-May. But I’m getting ahead of myself. Unschooling. It’s what it sounds like. Well, mostly, although I’ll just clarify that it’s not the absence of schooling, it’s the absence of school. You see, schooling is something you participate in, school is a place you go. I do not go to school, but I learn all the time. I love life and I get excited about things and I explore and I read voraciously. And my kids do too. We like to do it together. So we decided to. I’m still not really explaining anything. Sigh. Okay, so, they don’t go to school. And I don’t have curriculum that I teach them. I kind of feel like I’m George Costanza explaining that “It’s a show about nothing. Nothing happens!” 🙂 It’s not school. School doesn’t happen. Really. I don’t organize lessons. I don’t even give them information about things, unless they want me to. Which they do, by the way, and often. I trust my kids. And that trust extends to their knowledge of themselves and what they are interested in. They have passionate interests that I am thrilled to experience with them. He also loves painting, creating things out of paper, making jewelry, and anything crafty. Graciela is our traditional student. In fact, a few months ago she begged me to find her a real school. So we did. 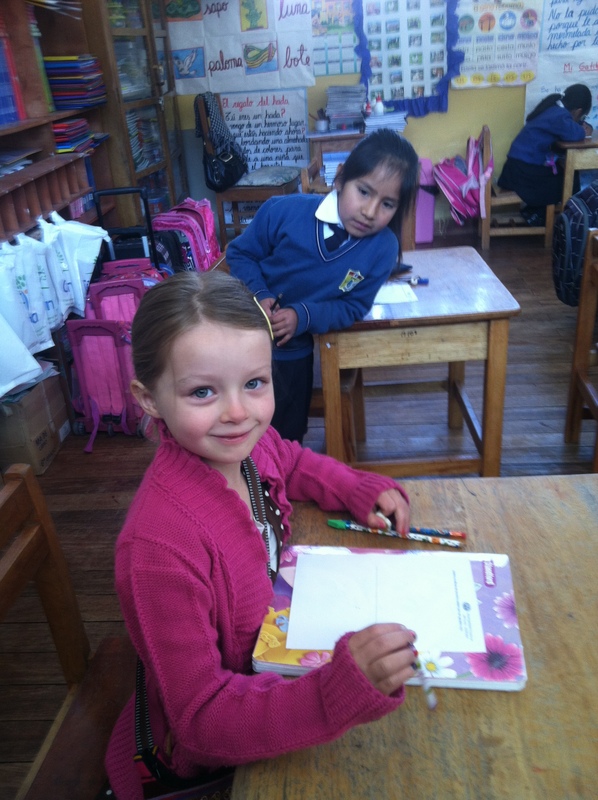 We have no money for private school, so we had to put her in a Peruvian public school. Any issues we have with school are magnified in the Peruvian public school system. These kids stand in straight lines every day, exercise and recite pledges, and are adamantly taught that perfect handwriting is the ultimate symbol of success. I’m not kidding. My 6-year-old was given pre-writing exercises every day, which consisted of tracing dotted lines and coloring in pictures as perfectly inside the lines as possible, because they deemed her handwriting not ready for first grade. My kid, who does multiplication and knows more about the solar system than I ever did! She lasted 2 weeks. She’s also made a model solar system, explored star charts, drawn habitats for specific animals, created a timeline of Martin Luther King Jr., and read many, many books. 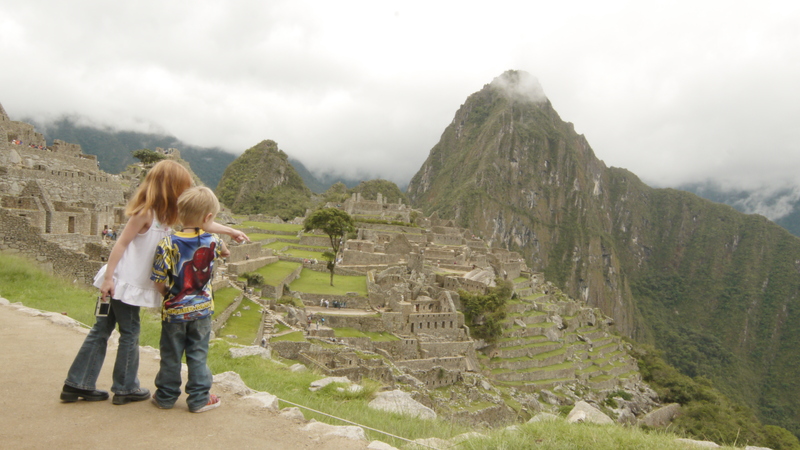 Oh, and both my kids have explored countless ruins in the Andes Mountains, including Machu Picchu, but that’s probably not fair to brag about. My point is, we are living life and loving it. I’m hoping to post a lot more about this “unschool” life so stay tuned! 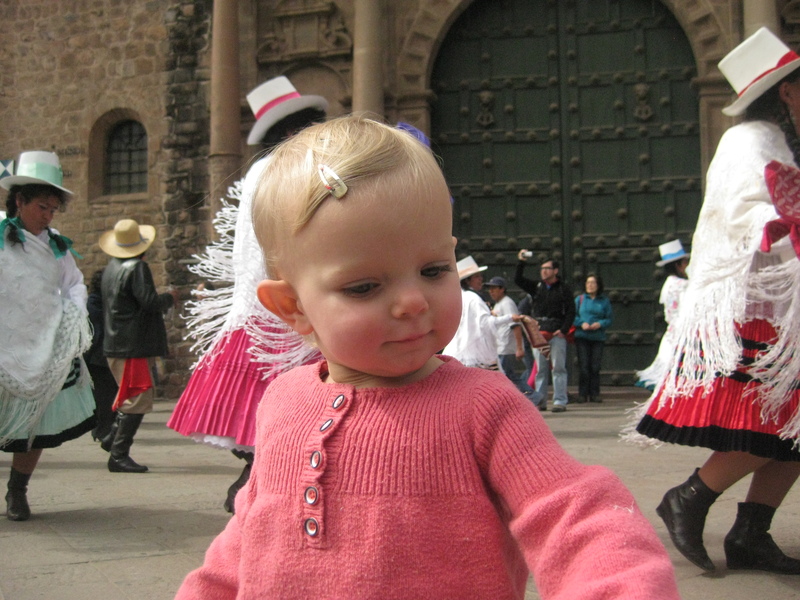 Every day is a party in Cusco. 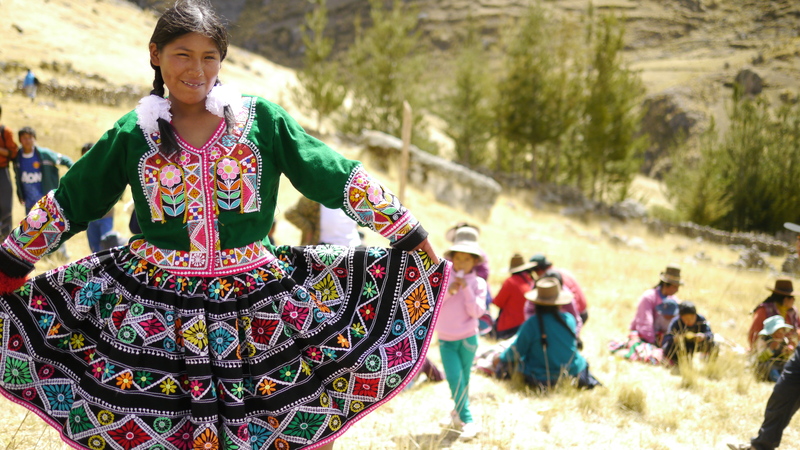 The combination of ancient Quechua traditions and Roman Catholic holidays pretty much guarantees that you will run into some kind of festival several times a week. Dancing in the streets is a real, daily part of life here. And we love it. The richness of this place is all around us. The central market is a bit of a walk from our home, but it is such a fun place to grocery shop. It floods me with memories of growing up in Ica and accompanying my mom on her shopping rounds. My siblings and I had the run of that place. Ica was still fairly isolated and our blond hair made us instant favorites with all the shop keepers. I see the reactions here to my kids and it is so familiar. And brings such complex emotions and thoughts… But that’s another post. 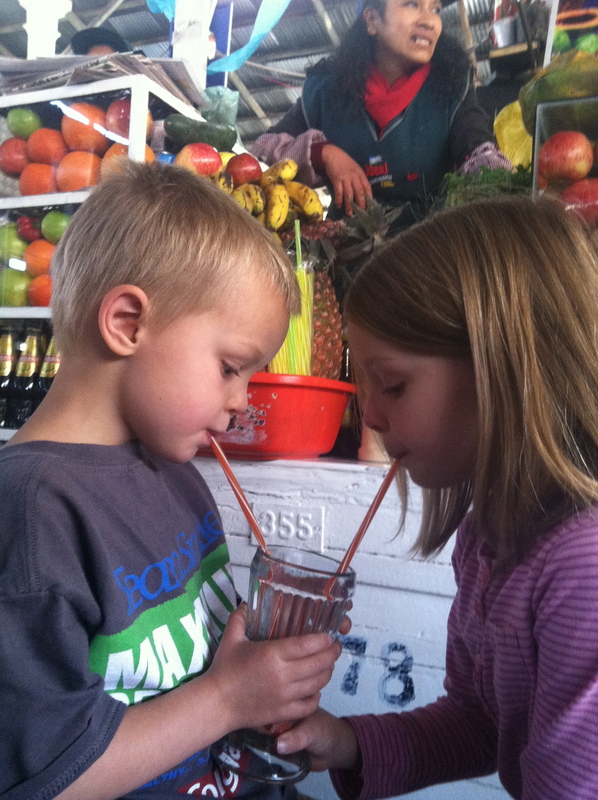 The rows of juice stands at the market provide lovely fresh smoothies at minimal prices. I had a carrot orange juice and the kids had watermelon. It’s a rocky climb every time we head out the door. The kids are slowly becoming used to the physical effort it takes us to get anywhere. And I have to say, I truly do not miss jumping into the car for every errand. Our leg muscles are going to be rock solid by the end of our time here. And the expectations of our kids will be so drastically changed. They used to complain when we would walk three blocks to our library in Columbus. If they had only known what they were in for! But they are troupers and even made it all the way up the mountain on our family hike! Speaking of changed expectations, I don’t really think of myself as spoiled. I’ve carted loads of dirty clothes to the laundromat blocks away, with a toddler in tow and a baby on the way. I’ve operated without a dryer in a tiny house during the “2 kids in cloth diapers” stage. But doing laundry by hand, with only cold water and a clothesline takes it’s toll. At least I have an amazing view! This is where we live. 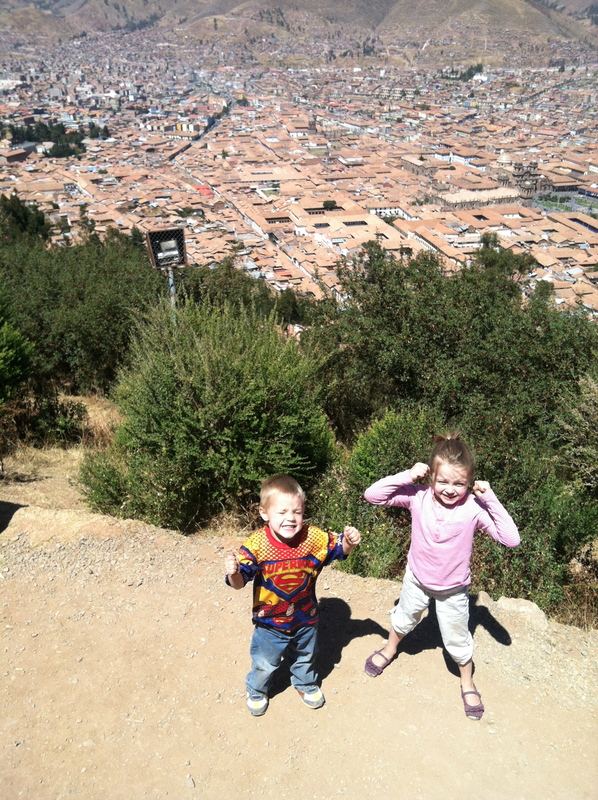 Our fabulous, Andean mountain home. We are loving it. We arrived in Peru early June. After a quick trip to the Q’eshwachaka Festival, we landed back in Lima at my parents’ house. For 2 months we crashed in their lovely home on the side of the mountain, in our own little section of the house. Our kids played with their grandparents, ate lots of new Peruvian food, got to know their cousins, explored Lima, and spent most days covered in a layer of dust from climbing outside. I loved seeing my family regularly and had the immense joy of being there for my little sister’s first baby. Ignacio (“Nachito”) was born on Peruvian Independence Day, July 28th and he is absolutely precious! We also got to see and film Vidal in his Lima home. I was still waiting to pick up my Peruvian paperwork in Lima, so Matthew made the brave decision to head off to Cusco, and take Graciela with him. They moved into our apartment, signed up for Spanish classes and started getting to know the town. 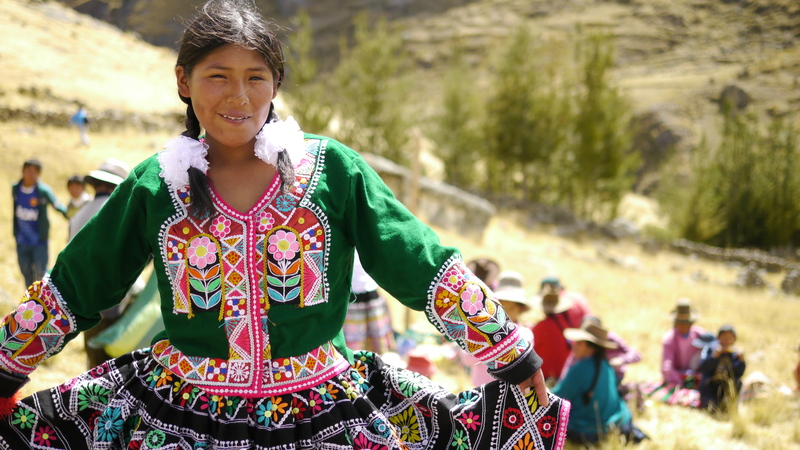 Moving to an Andean town without knowing the language or culture may be picturesque, but it’s not easy. They had a few tough days, but together they were figuring things out. Then, after my paperwork came through sooner then expected I made a quick decision, packed up our overwhelming amount of stuff and headed out for Cusco the next day. We showed up at the door, after maneuvering one of Cusco’s famously steep and rocky alleys and knocking on several doors, to the shocked faces of Graciela and Matthew. It was wonderful to surprise them, and then to get the tour of our place, including our roof. 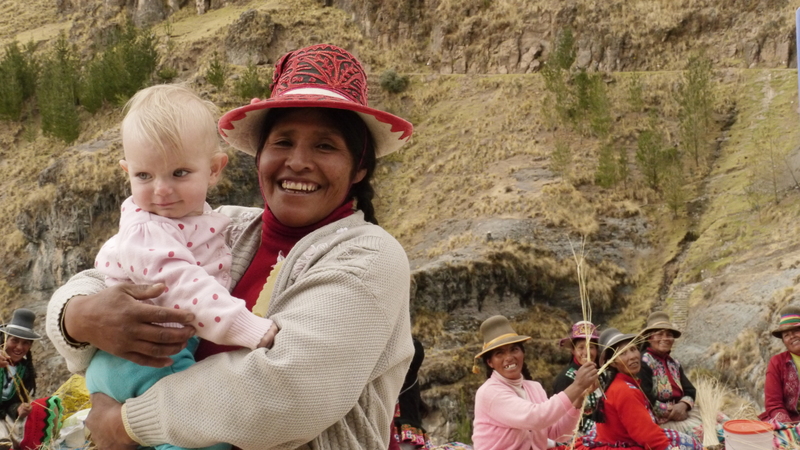 All in all, we love Cusco. My parents’ house is built on the side of a mountain, cliffs and steep rock slopes everywhere. And my kids are loving it! Every day they spend at least an hour climbing, building, inventing, pretending and sliding down rocks and dirt. The house has windows all around and I can watch them while they play. I was raised on these mountains, and in spite of what the modern/western “norm” tells me about safety and children and how concerned I ought to be, I can’t help believing they are okay. Because I know my kids. I know how carefully Mateo will approach a new situation. How he will observe quietly, watching and soaking it all in, before he attempts something. I know he won’t try it if he doesn’t believe he can do it. And I know Graciela’s ability. I know how well she climbs, how quickly she can assess what is around her, and how accurate her physical senses are. Let them climb. Let them slide. Let them live! Both Graciela and Mateo were wearing their baby dolls around yesterday in makeshift baby carriers. Every time I see them in this kind of role-playing it just warms my soul. And lately they have both been especially parental with their baby sister. I have never seen either of them show any kind of antagonism toward her. There are so many things we really wonder about as parents, how we’re doing, if this is right. But it’s moments like this that I think we’re gonna be okay. My 5-year-old has started a YouTube Channel where she can instruct the world on finances, yoga, world culture and sundry topics. Stay tuned for more. 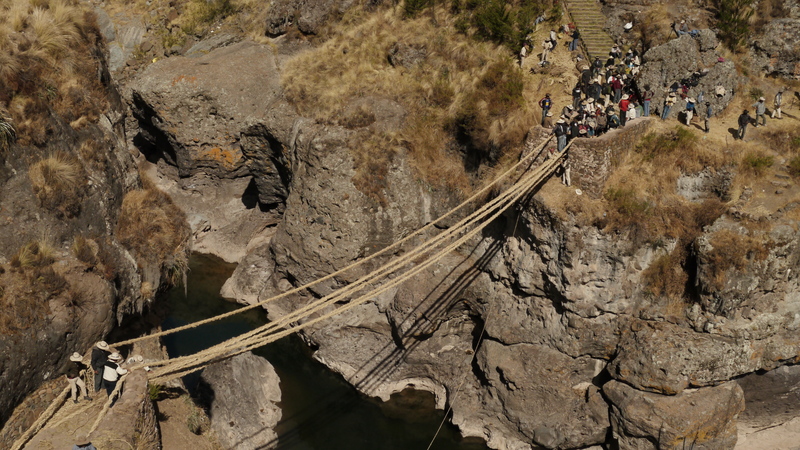 After our 4 hour trip, we came winding down the dusty serpentine road and pulled up at the top of the stairs leading down to the site of the last remaining footbridge of the Incan empire. I hopped out, grabbed the camera and headed down to the site, where the men of the surrounding villages were hard at work on day 2 of the rebuilding. Now, I will confess something. I knew that women are not allowed at the bridge-building site. Victoriano had mentioned it when I was there last October. But I have this little problem. When I am told that I’m not allowed to do something, I, um, have a hard time listening. As what you might call a “global citizen,” I have always had the utmost respect for cultural traditions that I don’t understand. I know that segregation is a very deep-rooted part of many cultures, and I can understand that the difference between the sexes is an obvious and sacred part of many societies. 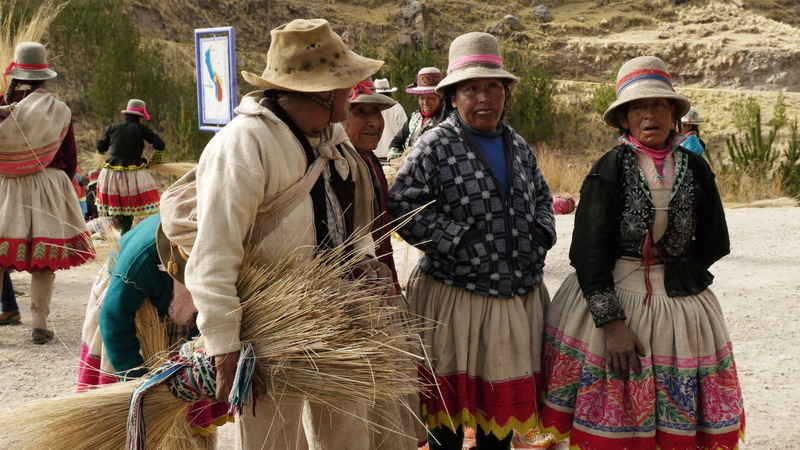 In no way do I wish to cross the lines of ancient Andean traditions that uphold differences and hold certain ceremonies sacred. That said, I am also a feminist. And the whole “no vaginas allowed” thing is a real kick in my modern/western gut. So, I went down the mountain. I hefted my camera and eased my way down, closer and closer to the builders. The mob of masculinity below was pretty focused on the task of stretching the grass cables across the river gorge. I managed to get pretty close before frantic exclamations from the other side brought it to their attention. As I said, I have the utmost respect for cultural traditions and as soon as I was asked to leave I did, clambering my way across the rock face to an outcropping that provided me with a decent enough view. Matthew took over the role of cinematographer, and took some lovely shots of Victoriano weaving the bridge floor while suspended over the river. In the meantime, at the top of the stairway, our toddler played on the dirt road lined with women and children, while I craned my neck over the cliff to watch the progress. 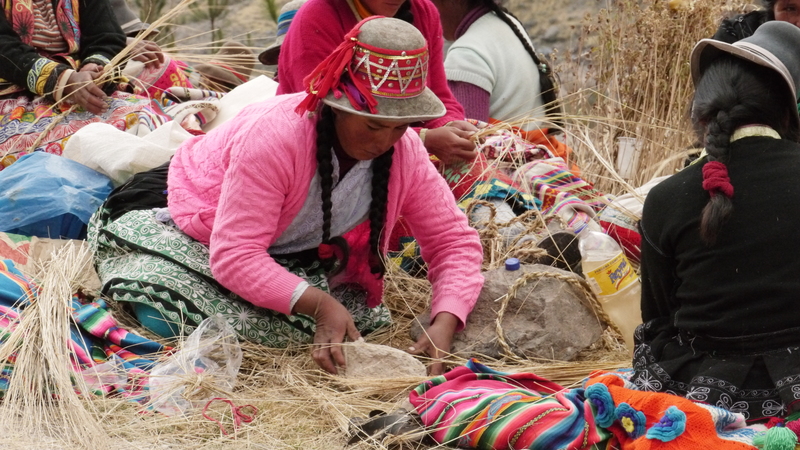 Quite honestly, I much prefer the company of the other mothers and grandmothers, their busy hands pounding, rolling and weaving the ichu grass into stands of braided rope. Their delight with Rosali and her blue eyes, their gorgeously colored clothing, the smiles we shared over our children’s play. But still. We were the excluded ones. I think, in our world today, tradition may find that to preserve itself, it must transform its very nature. I wonder what the people of Huinchiri are ready for. Probably laughing at me. 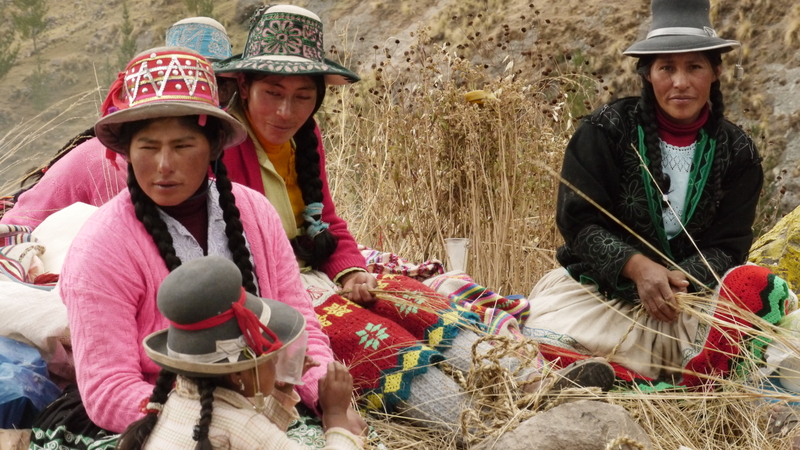 Wish I spoke Quechua. Stretching the woven cables across the gorge. Ruth Laurita after her dance performance at the festival. 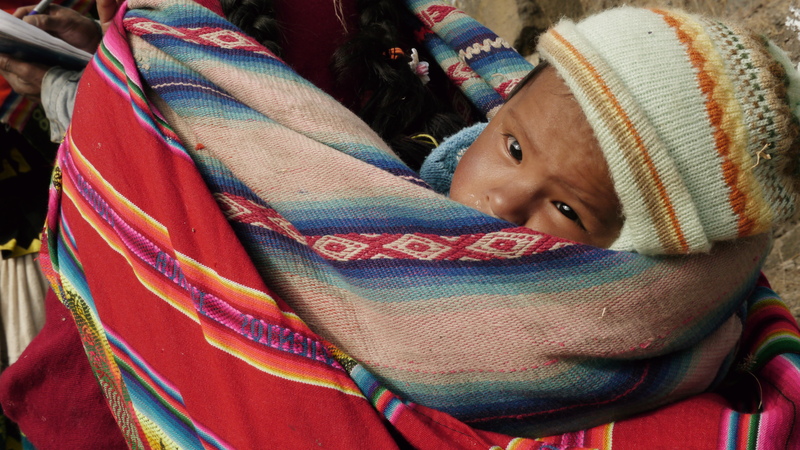 When this posts, I will be far off in the Andean highlands with camera in hand. I plan on returning with pictures and stories and lots of video! Bye till Monday at least. 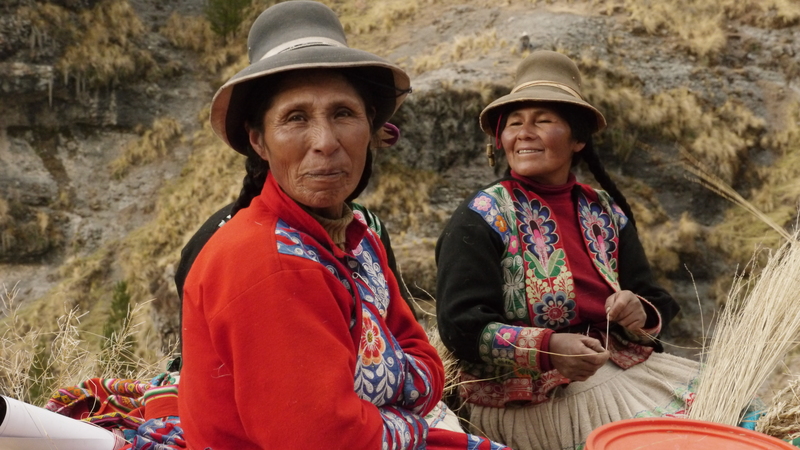 In the past when I’ve come to Peru by myself, I have lots of time leading up to the trip and in the plane and on first arriving to savor the whole experience. 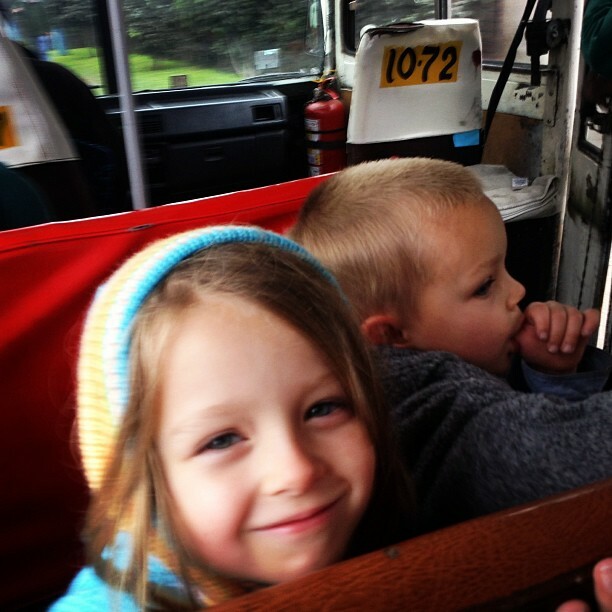 Traveling with kids, the experience kind of sneaks up on you. My brain was so busy dealing with very, very tired children, luggage, customs and immigration, hungry mouths, etc, that I barely even realized I was home. Then, on the way back from the airport, I glanced out the window and straight into the bus next to us, and all of a sudden, I couldn’t stop smiling. It’s strange, I know. 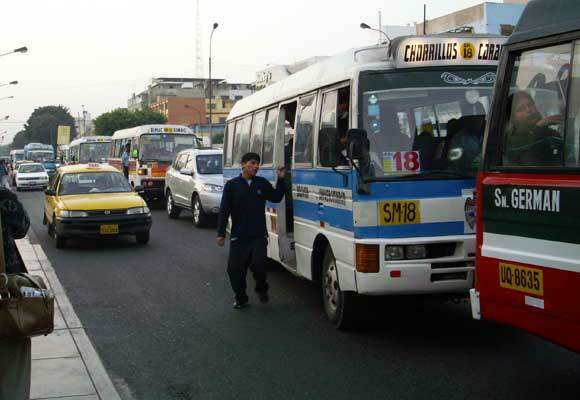 The bus was nothing special, but in that one quick glimpse I saw every Peruvian bus I’d ever sat in, the seat worn smooth, the tears and nicks and holes, the pen graffiti covering the seat in front of me- “Martita, te amo! Promoción ’97, DALE U!” The skinny cobrador, making his way down the aisle. The people, jolted and jerked sideways, trying to maintain some individuality in the press of sweaty bodies and BO. The faceless driver we never see. In that moment, everything felt so right. I knew that I belonged and that I understood and that this was my world. It’s a strange effect. Every person I see is my past. The kids playing Siete Pecados-I know them. We built a secret clubhouse in the empty lot where we climbed trees. I dared them all to climb higher then me, but the girls were too scared and the boys too afraid of being beat. We hid in the park, making fun of the couples making out on the benches. Every March, we waged war against any other kids who entered our neighborhood during Carneval, throwing water balloons and squirting hoses. Fighting off bees and hummingbirds, we sucked the nectar from the red flowers that grew against the fence. That group of junior highers outside KFC-I know them. We pooled our money for the arcade games at the mall. I talked them into teaching me salsa, which we all agreed was a complete failure. We sat out in the park until late, taking turns on a guitar. 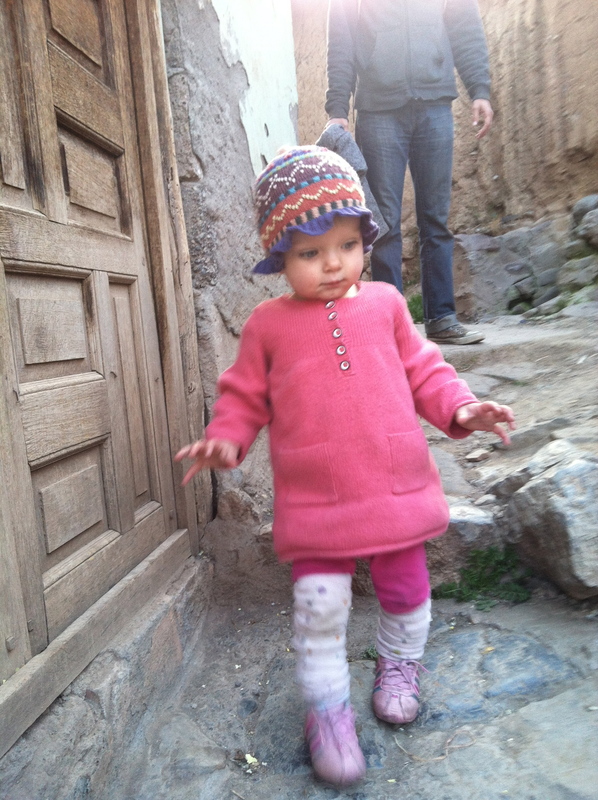 We wandered the streets of our neighborhood, warily eying the other groups of kids, sizing them up. We invented our own special whistles so we’d always know if one of us was around, along with our very secret handshake. The teenager combing his hair, skateboarding in the middle of the street-I know him. I flirted with him, then turned him down. I had a crush on him and he ignored me. He wrote me bad poetry and I laughed at him. He plagarized good poetry and I torn it into pieces and called him out. He insisted on pushing my bike home for me, even though it pissed me off. He tried to teach me guitar. He took me out on my first date, which I ended up paying for because he lost his wallet. That legless man in the wheelchair, selling candy on the corner-I know him. He used to have a small square dolly he’d sit on, begging at the car windows. I’m glad to see him now. The women at the clothing store- I told them off for being so accomodating to me, the gringa, while ignoring my best friend with her dark complexion. 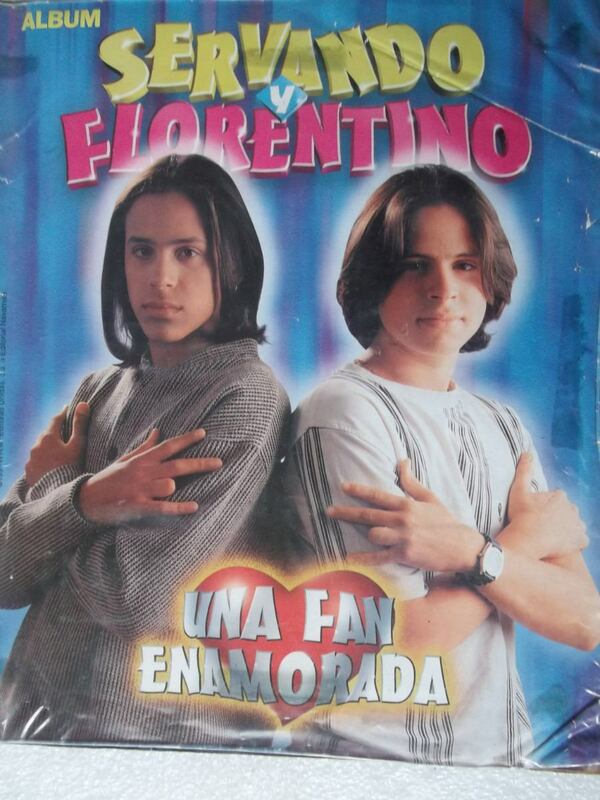 The girls walking arm in arm-I giggled with them in the backs of countless taxis, high on adolesence and late nights, we snuck out to my first movie, they introduced me to Servando y Florentino. I know this place. It is right that I am here.